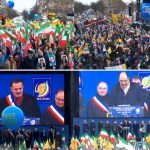 On Thursday, February 8th, the MEK supporters gathered for a rally and march in Paris. 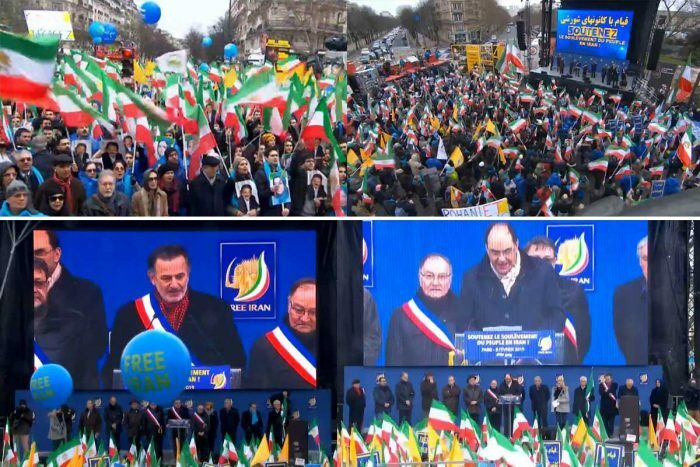 The event, which was organized by the French Committee in Support of Human Rights in Iran (CSDHI), was meant to draw attention to human rights violations in Iran and the Iranian regime’s terrorist activities in Europe. The demonstration that took place amid the 40th anniversary of the 1979 revolution, echoed the Iranian people’s quest for freedom and democracy in Iran. One of the main slogans was “Democracy Freedom, With Maryam Rajavi“. Those attending the rally seek a democratic alternative and support National Council of Resistance of Iran (NCRI) President-elect Maryam Rajavi to lead Iran toward freedom and democracy. The timing of the rally was significant. The Warsaw Conference is set to begin in a few days. International leaders will discuss the future of Middle Eastern policy at the conference, and Iran will be a particular focus. The Iranian Resistance hoped to draw attention to the plight of the people of Iran. Attending the rally were international politicians, human rights activists, and MEK members and supporters.